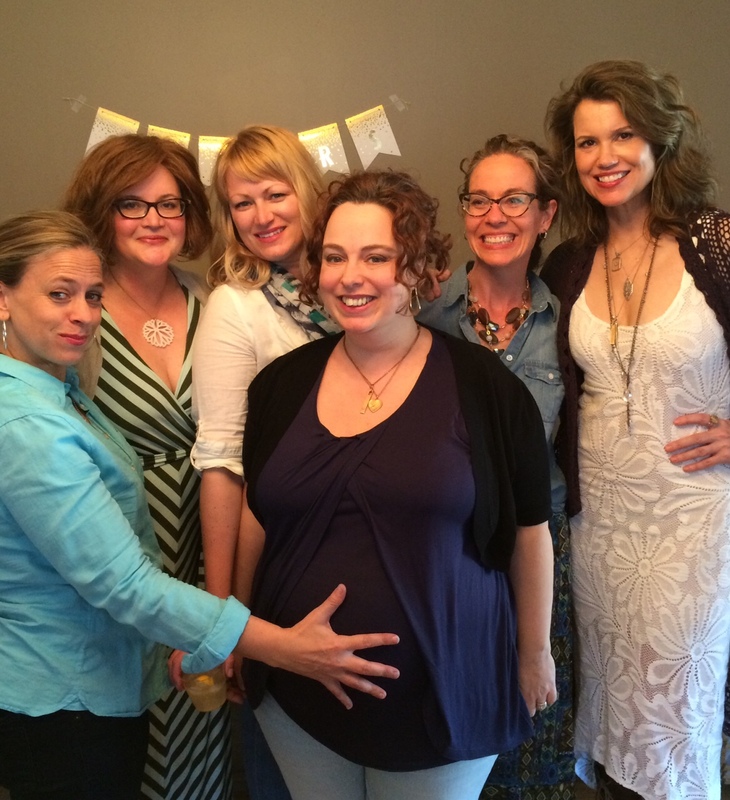 Let’s talk babies! Even though my son is 19 years old now, and 6’5″ tall, he’s still a baby in my mind. Blame Mother’s Day and the pregnancy of my friend Joy Summers, who recently gave birth to her perfect rosebud of a daughter, Baby CC. You guys, I haven’t held a newborn baby in a long time. She is MAGICAL. What do you bring a new mom to eat? Lord knows hospital food is utterly revolting, and nothing to heal on, so I like to bring what tasted like absolute heaven to me – fresh fruit. 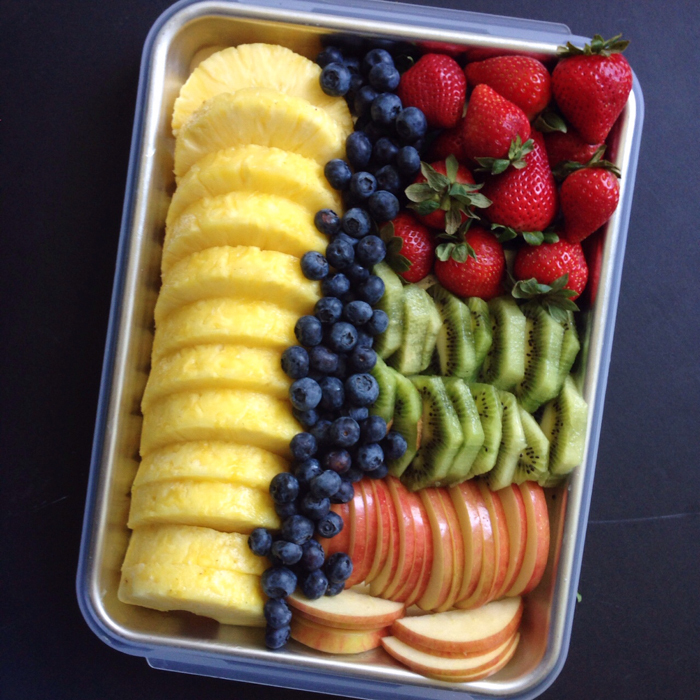 I’m not a big fruit eater but when my neighbor Beth brought by a platter of ripe berries, kiwi, and pineapple, I inhaled it like I’d run a marathon and hadn’t eaten in days. Because that’s pretty much what I’d done. 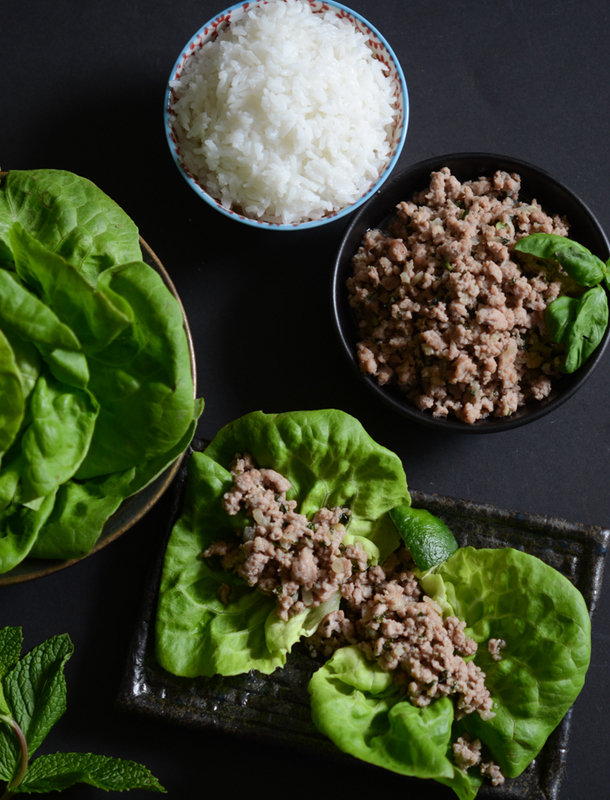 I also brought these Coconut Pork Lettuce Wraps, a dish I originally made for Joy’s baby shower several weeks ago. Her husband Matt was all about the pork, so of course I had to bring it to them in exchange for #BBCC snuggles! 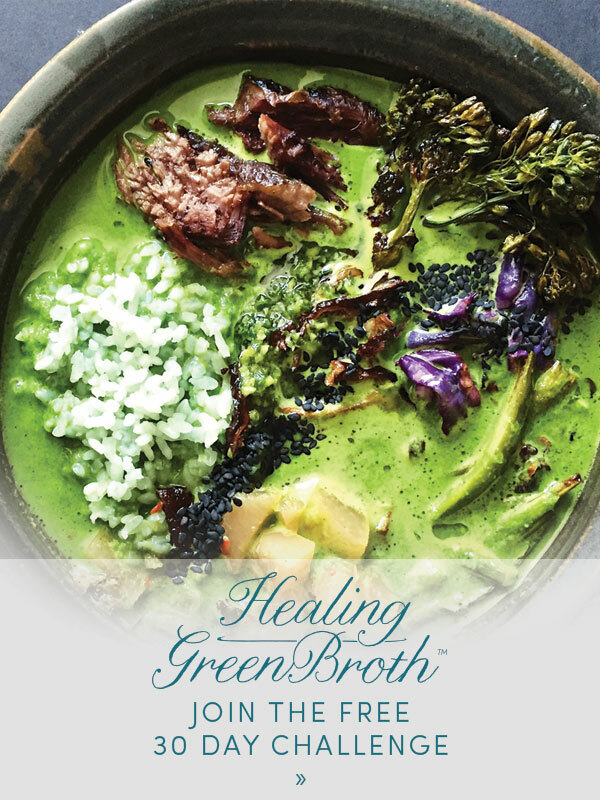 This dish is nicely dairy-free, which is important for nursing moms testing out what foods might cause baby tummy troubles. Not to beat a dead horse, but the pork wraps are fantastic with…wait for it…Ginger Scallion Sauce, heh. I brought sticky jasmine rice for Joy and her family, but no rice or cauliflower rice would keep this dish firmly autoimmune protocol friendly. 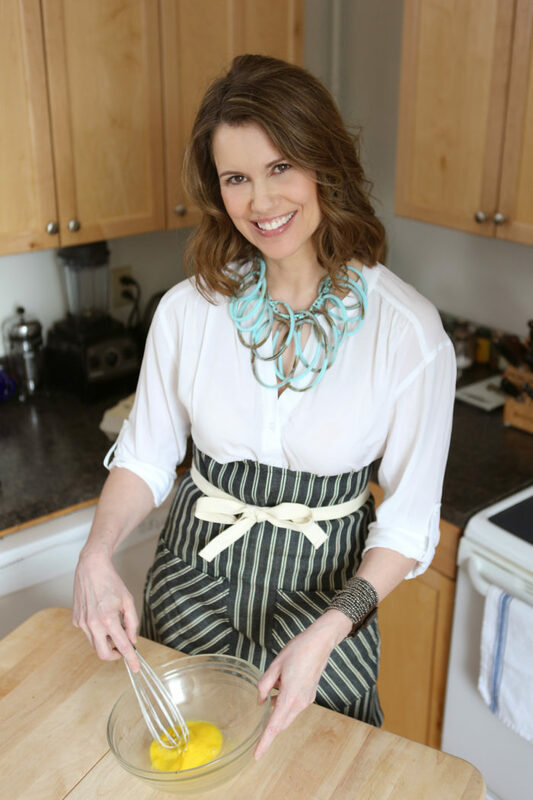 My recipe development has taken a bit of a hit as of late as I’ve been spending more time teaching classes, speaking, and coaching individuals one-on-one on the pleasures of eating fast, whole food meals. 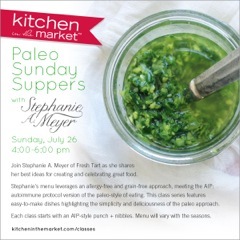 I’m teaching another Paleo Sunday Suppers class at Kitchen in the Market, in fact, at the end of July. 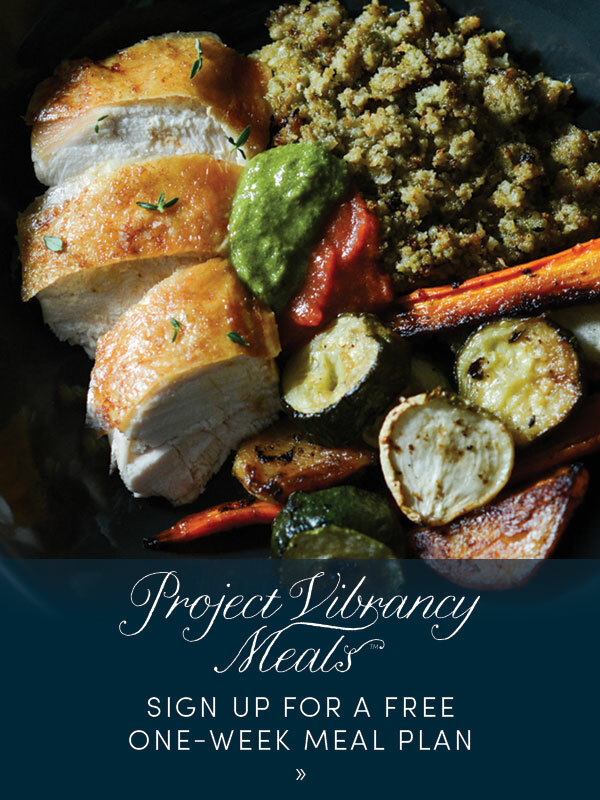 Please come on Sunday, July 26, from 4-7 pm, for ideas on using CSA box or farmers market bounty, implementing a grain-free diet for optimal health, and to pick up tips on pulling together fast meals. Register here! 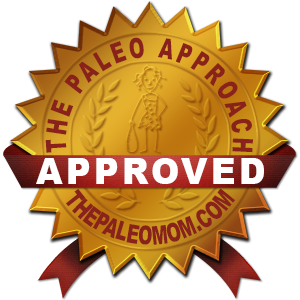 I’m also teaching a More Intro to Paleo demonstration class at Nordic Ware on Tuesday, June 30, from 7-9 pm. 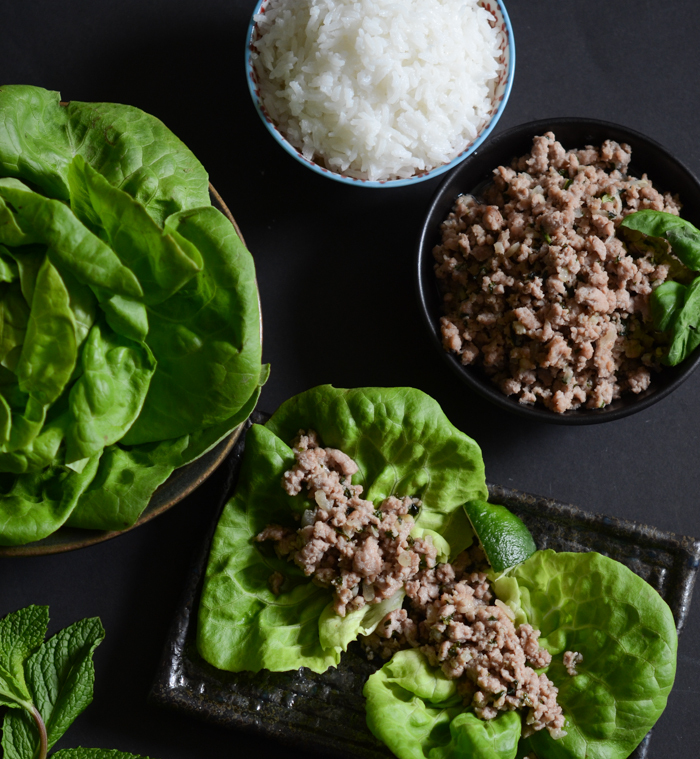 I’ll be making these lettuce wraps and other dishes as well. Register here! 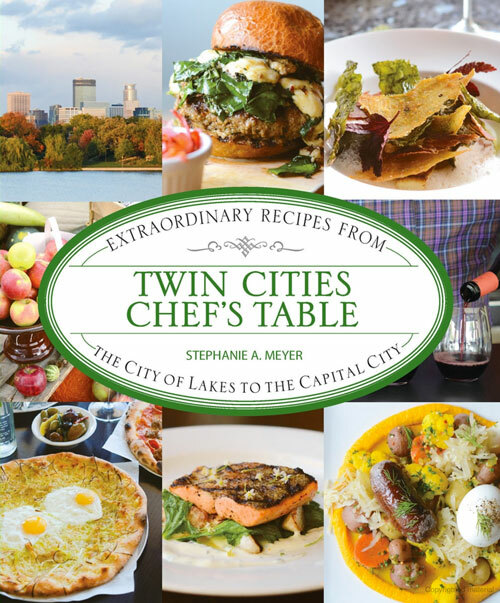 Are you going to be at Mpls.St.Paul Magazine’s Fit Fest this weekend? You should be! Be there for a fitness extravaganza that includes group fitness classes taught by local and nationally recognized fitness instructors, an expansive health and fitness expo, and seminars led by experts with tips for healthy living. I’ll be chatting autoimmune protocol with Smarch – aka Stephanie March – at 3:30 pm. We’d love to see you! Buy tickets here! In the meantime, put tender spring lettuces and fresh basil, mint, and scallions to good use in this ridiculously easy, flavor-packed crowd pleaser. Make the pork ahead and freeze it if you like; it reheats nicely. Note: Jazz these up with your favorite pickles or sliced radishes! These are also delicious with gluten-free hoisin sauce (not AIP). Heat a large skillet over medium-high heat. Add coconut oil and when hot, add onion and garlic. Saute for 5 minutes, or until onion is softening, then add pork. 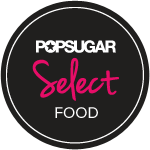 Using a spoon or spatula, break up pork as you saute until just done (no longer pink), about 8 minutes. Stir in coconut manna, fish sauce, fresh herbs, and lime juice. Taste and adjust seasoning (adding more manna for sweetness, fish sauce for saltiness, lime juice for acid). 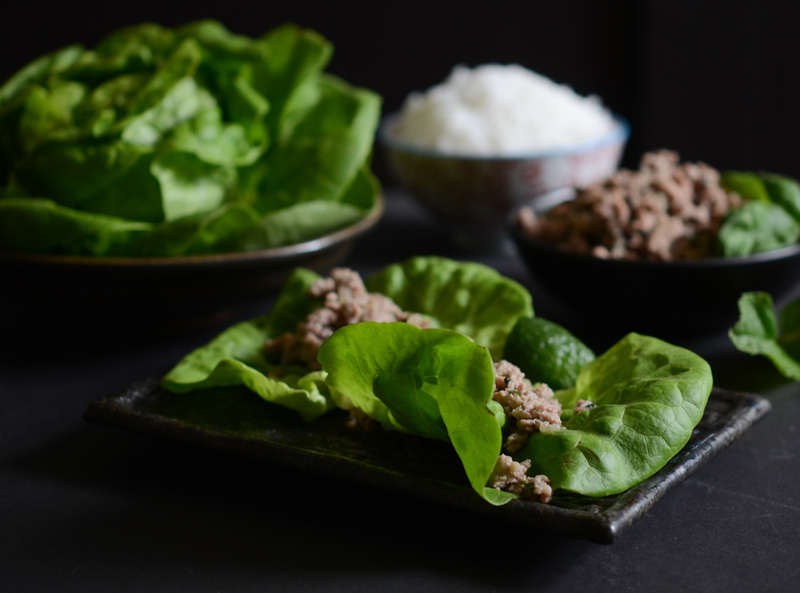 Serve pork in lettuce leaves topped with Ginger Scallion Sauce.